Or at least a “do-it-himself” success for MJD! 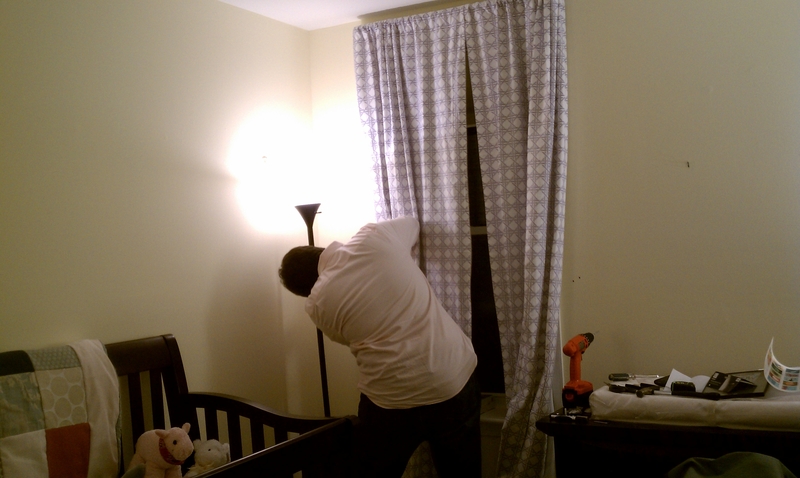 While I provided moral support, MJD took to the ladder last night and hung curtains. He’s the best! The room is starting to come together, the bassinet arrived, I’m finally going to start washing all the clothes, sheets, and towels. I have to say that I am very impressed about everything we have accomplished during our time off. 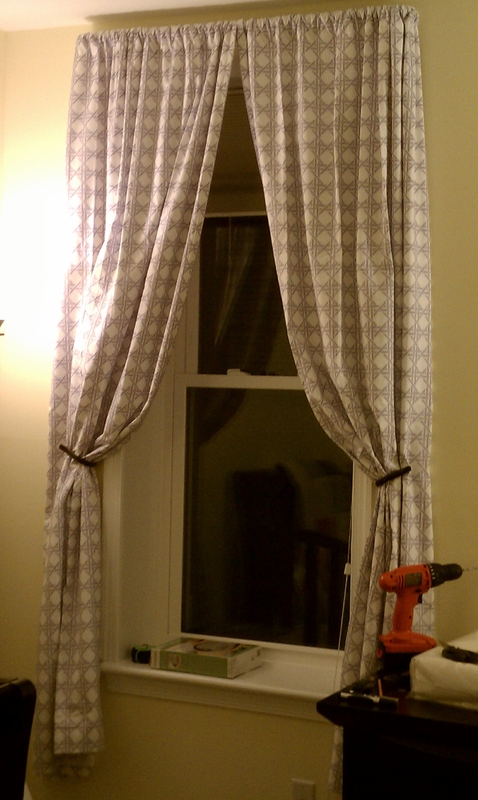 Now that we have the furniture and a lot of the basics, we can start decorating (curtains were a big step!). We have a matching crib skirt and sheets from Land of Nod, and some new art work that is being framed, and hopefully it will all be done some time in January. Hope you like the direction it’s all going!